When Bob Dockery was a child, his parents would tell him that, "there is no such thing as can't in the Dockery family." Armed with that indomitable will to succeed, Bob has forged a string of amazing accomplishments into a legacy that inspires and illuminates the human possibilities. In 1980 Bob formed S I Communications, a television and radio production company. Most of the over 200 radio and television programs that he produced were about African American lifestyle and culture, including several about Benjamin Mays and Martin Luther King, Jr. Still, Bob had to satisfy his lifelong itch to produce stage plays. Bob Dockery graduated from Morehouse College in 1966, one year before Benjamin Mays retired as President. Inspired by the many speeches and teachings of Dr. Mays, Dockery decided to create a play about the relationship between Mays and Martin Luther King, Jr., who had attended Morehouse under Mays, from 1945 to 1949. The play, although in some parts fictional, was based on actual events in Dr. Mays' life, obtained from various research sources, including Dr. Mays' speeches, writings, and books. Kathryn Bentley is a professional actor, director, community artist and an Associate Professor in the Department of Theater and Dance at Southern Illinois University Edwardsville (SIUE). 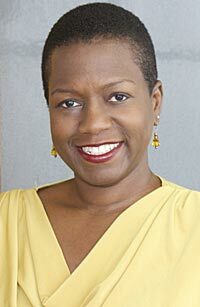 At SIUE, she has been the Artistic Director of The Black Theatre Workshop since 2006. She has performed with several theater companies such as St. Louis’ Hot City Theatre, Harlem based Blackberry Productions, Portland Stage, Cleveland Playhouse, Buffalo Studio Arena and the St. Louis Black Repertory Company. Some of her directing credits include: Venus, A Lesson Before Dying, Suddenly Last Summer, Purlie Victorious, Fabulation, Point of Revue, and Intimate Apparel. In 2000, she was instrumental in developing the CHIPS In Motion program at CHIPS Health and Wellness Center in North St. Louis. This program utilizes performance to teach the community about pertinent health and wellness issues. She continues to serve as a consultant for the program. Ms. Bentley was one of the premiere recipients of the St. Louis Regional Arts Commission Artist Fellowship. Aaron Henne is artistic director of theatre dybbuk and an award winning theatre maker whose pieces include Cave...A Dance for Lilith (theatre dybbuk and L.A. Contemporary Dance Company), Sliding Into Hades (LA Weekly Awards for Playwriting and Production of the Year, Odyssey Theatre) and Mesmeric Revelation (SFBATCC Award for Original Script, Central Works, Berkeley, CA). 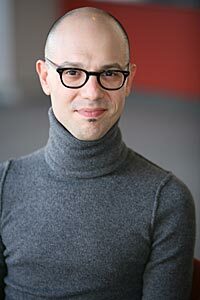 Aaron serves as as a mentor at Otis College of Art and Design and Co-Literary Manager for The Theatre @ Boston Court. His playwriting process text, You Already Know, was published by Writ Large Press and he has taught writing workshops throughout the country and at such organizations as LucasFilm and Pixar. 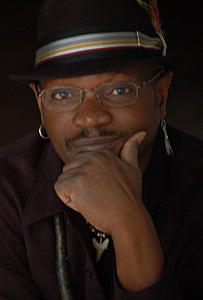 Multiple award winning playwright and actor, Levy Lee Simon is originally from Harlem USA, and a graduate of the prestigious University of Iowa Playwright’s Workshop. He is the author of twenty plus plays which have received productions in the US and Caribbean. 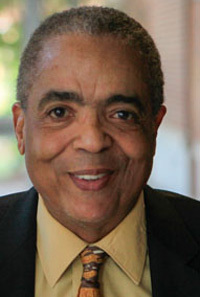 He is best known for his For the Love of Freedom trilogy, produced the Robey Theatre Company, The Bow Wow Club produced by John Marshall Jones at Stella Adler Theatre in LA and the National Black Theatre Festival, and The Guest at Central Park West, winner of NYC’s acclaimed Audelco Theatre Award, for "Best Dramatic Production" and "Best Playwright." Levy Lee’s next major work will be the Magnificent Dunbar Hotel, scheduled to open in November, at the Robey Theatre Company, LATC. Other noted plays by Simon include: God the Crackhouse and the Devil, Same Train, Pitbulls and Daffodils, Smell the Power and The Last Revolutionary. He was a recent Guest Artist at the 2014 Great Plains Theatre Conference in Omaha, Nebraska.